About 80 to 90% of women suffer nausea at some point during their pregnancy. But health conscious women do not like to take drugs with side effects that can harm their baby. Ginger provides safe and effective relief. 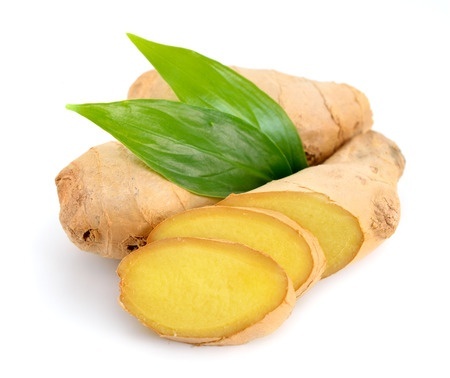 Ginger (Zingiber officinale Rosc.) is the member of family Zingiberaceae, locally known as Adrak or Ada in India. This plant is small, rhizomatous, erect and perennial. It is cultivated commercially for edible rhizomes in many parts of India and it has been part of various medicine systems across the world for time immemorial. A new study reveals ginger contains a pungent compound that is up to 10,000 times more effective than conventional chemotherapy in targeting the root cause of cancers. ​Crafting a home medicine kit can be easy and inexpensive -- and is something no home should go without! Respiratory syncytial virus (RSV) is often confused with the common cold, and typically results in wheezing and other respiratory symptoms. Now research has determined that the famous Ayurvedic remedy inhibits this sometimes lethal virus. A groundbreaking new study finds that components within common edible plants directly modulate mammalian genes, with therapeutic results. The healing effects of ginger are well-documented, and now new data shows the efficacy of ginger on migraine headaches. Premenstrual syndrome effects many women monthly, resulting in pain and mood-related symptoms. New research confirms that ginger not only reduces pain, but also reduces pain associated with PMS along with improved mood symptoms. Have you ever skipped your exercise routine because of lingering sore, stiff muscles from your last visit to the gym? A new study finds that two common kitchen spices help relieve that post-workout muscle pain.